Dupuytren contracture treatment using Alternative Medicine methods is controversial, to say the least. This section will present alternative and complementary therapy methods, while admitting that there is controversy in regard to them all. DCI recommends the active, aggressive, synergistic use of multiple conservative Dupuytrens contracture treatment measures in both its acute and chronic stages of the hand lump. The purpose of this intense therapeutic approach is to increase, to support, to enhance, the maximum healing potential of the body in general and the fibrous connective tissue of the palm in particular. Nutritionally supporting the healthy function of local tissue in both specific and general ways makes sense, so the body is given the best possible opportunity to repair and regenerate – to the best of its ability. Applying common sense and generally available knowledge about health and healing improves your chance to come out as a winner with natural Dupuytren treatment. Standard medical treatment of Dupuytren contracture leaves a lot to be desired. In modern society, drugs and medical technology with the greatest profit potential are researched most and are pushed hardest into the marketplace. Even though a particular treatment might help people, unless there is strong economic motivation to find “proof” that it works, few drug companies are motivated to invest in it. A low profit therapy (vitamin, enzyme, homeopathy) is generally ignored by the medical establishment for reason of simple economics. Often, these simple remedies are labeled “unproven” not necessarily because they do not work, but simply because no one wants to spend the time, effort and money to scientifically prove their effectiveness. A good low-profit treatment can stay untested, ignored actually, and therefore remain “unproven”. It does not mean it is a poor therapy, sometimes only that it is an ignored therapy.Even when a certain therapy has “proven” value and effectiveness, this positive or favorable verdict is sometimes only temporary. You must wonder about the actual value of scientific proof and approval for a drug or procedure, when so often they are later found to be ineffective and/or dangerous. (The reader has only to consider the recent removal of Vioxx and Celebrex from the marketplace, after being prescribed millions of times before being withdrawn.) Many times a new procedure or medication is put in the market with great ballyhoo one year, and pulled off the market with lawsuits the next year. So much for the unshakable and solid value of scientific research, extensive testing, medical acceptance and “proof”. A few decades ago when the medical establishment and FDA attempted to improve the American diet (fat out, protein in) to reduce obesity and heart disease, they pressured the fast food industry for compliance. In response, the fast food industry simply stated, “There is insufficient scientific proof to link a low fat/high protein diet to reduction of obesity and heart disease.” They did not say that less fat and more protein did not result in weight loss and less heart disease, they simply said that it had not been scientifically “proven”. Most agree it is logical for a low fat/high protein to be beneficial to health, yet it was “not adequately proven” and for this reason the request was safely ignored. Only after the American consumer demanded less fatty food and fewer empty calories, and created a financial incentive to decrease fat and increase protein, did the fast food industry respond by offering an improved menu for the public. 1. 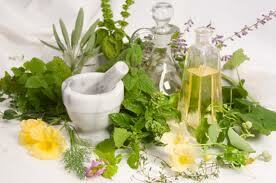 Read and learn about the various therapies. Understand why each is important. 2. Be aggressive. Overwhelm the problem, support your health in a broad area. 3. Diversify. Use both internal and some external therapies. From the internal options, consider some nutritional and some enzyme therapies. Mix it up.